Jacksonville's first urban two-way cycle track appears to be on its way to Brooklyn. 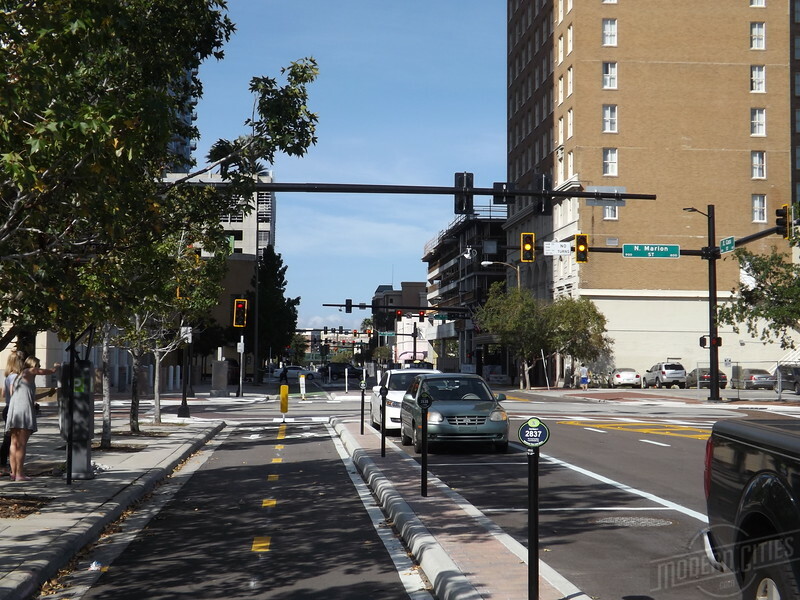 A two-way cycle track in Downtown Tampa in 2016. With construction already underway on Downtown Jacksonville’s first protected bicycle lanes, a road diet in Brooklyn will likely result in the city’s first two-way cycle track. Although road diets can succeed at volumes of up to 23,000 vehicles a day, they tend to be most successful on roads carrying less than 19,000 vehicles per day. According to Florida Traffic Online, Park Street currently has an Average Annual Daily Traffic (AADT) traffic count of 2,250 vehicles each day. 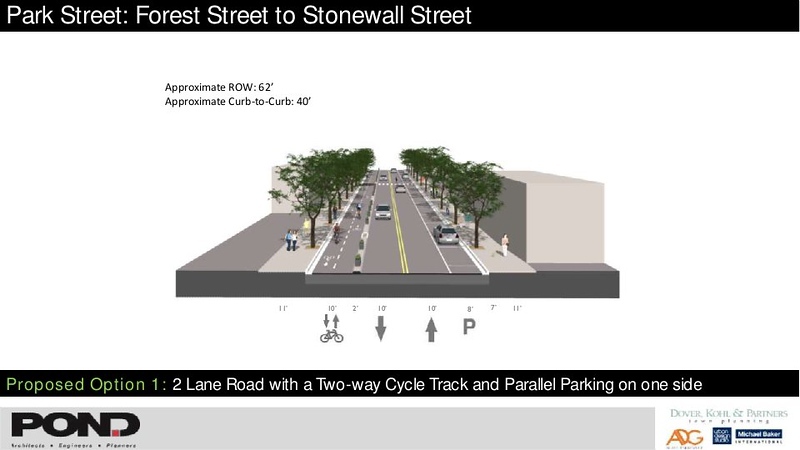 With this in mind, the City of Jacksonville has allocated $2.2 million in the FY 18-19 budget to add a cycle track to Park Street by reducing the current four-lane undivided roadway into a two-lane street between Forest Street and the Lee Street viaduct. According to an October 2018 Waterway/Waterfront Activation meeting presentation by Councilwoman Lori Boyer, this project is intended to provide modifications to existing roadway infrastructure within the Brooklyn neighborhood to enhance pedestrian and bicycle connectivity and improve safety. Improvements targeted for Park Street include addition of a cycle track, on-street parking, expanded sidewalks and reduced roadway widths for safer pedestrian crossings and the addition of street trees. Rendering of proposed road diet concept. In addition, the modification of Park Street into a multi-modal friendly corridor will serve as a direct bicycle and pedestrian friendly link between LaVilla’s Jacksonville Regional Transportation Center (currently under construction), Brooklyn, Five Points and Riverside. The infrastructure project also anticipated to promote additional economic development within the Brooklyn neighborhood. One of several developments planned along the corridor include Jacksonville-based The Vestcor Companies’ Lofts at Brooklyn. Planned for a 1.16-acre site along Spruce Street between Jackson and Stonewall streets, the 136-unit affordable and workforce housing project would be the first infill development to take place on the west side of Park Street in the rapidly gentrifying neighborhood. A late summer, early fall groundbreaking in 2019 is anticipated for that project. A few blocks south, Bedopas LLC. plans to restore the long abandoned Mt. Calvary Baptist Church into a mixed-use space. In 2016, after quietly purchasing 11 acres throughout the neighborhood, Bedopas LLC considered making the James Edwards Hutchins-designed building their first redevelopment project in the neighborhood. 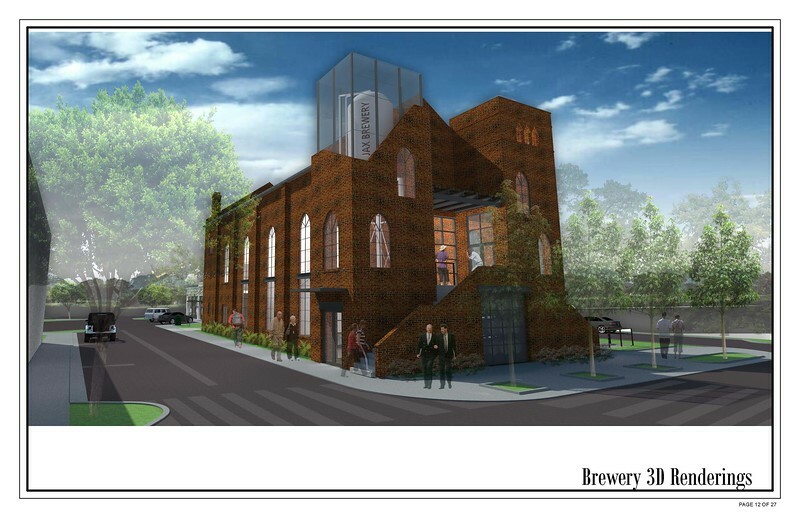 At the time, plans included the consideration of transforming the 63-year-old space into a 5,600-square-foot brewery and adding a new adjacent commercial building to house a 224-seat restaurant. Furthermore, the cycle track project is expected to tie into the long awaited McCoys Creek Greenway project. Construction on that $62.5 million drainage, flood control, creek restoration, ash remediation and recreational trail project is expected to commence next year as well.